I like to cook. Mostly, I am a "play it by ear cook"...same way I play music. I do it by feel. But folks have asked me for various recipes and so here are a few I'll pass along. This recipe comes from my Texas grandmother, Kate Lowrey. Every year our family would collect pecans near our Texas home…bushels of them. 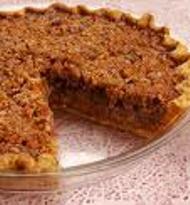 This pecan pie is not too sweet yet full of flavor, a Southern favorite. 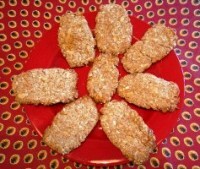 I created these crackers because when you travel as much as I do you need some healthy food you can rely on in a pinch. When everyone else is eating burgers and fries cause there is nothing else around, I reach for an Old Holt’s Whole Oat Cracker. They are basically a healthy form of hard tack! I mention Cry Baby Cookies in my song “Slowfood.” These Southern Cry Baby Cookies were created especially to stop children from crying. It is hard to cry and eat at the same time! 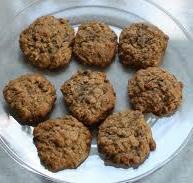 These simple cookies are easy on the stomach and tasty on the palate. Little kids love them. Cornbread has always been a delicious family tradition. Nannies Cornbread: Cornbread should not be sweet! 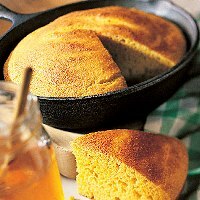 This simple yet hardy cornbread was a staple at my Grandmother’s house. It also makes the worlds best Thanksgiving stuffing.